The defending state Class B champs continue to roll and are now ranked seventh in the country, according to LaxPower. 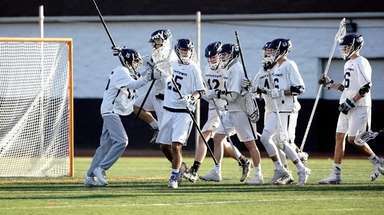 Kellen D'Alleva had three goals and six assists as the Indians (8-0) beat Connecticut powerhouse Darien, 14-11. 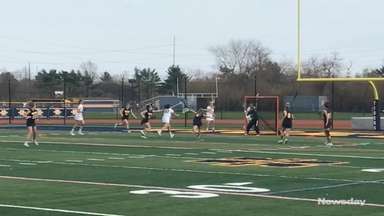 Lindsey Ronbeck scored five goals in a 14-2 win over Oceanside. The Braves' offense excelled in its two victories last week -- 19-3 over East Meadow and 11-3 over MacArthur. Alex Concannon totaled five goals and five assists while Mac O'Keefe had six goals and five assists. The Braves (10-0) host Massapequa on Friday. St. Anthony's continues to dominate the LI track scene. Pat Tucker has the top mile time in the state as of Friday, running 4:16.99 at the Colonial Relays. Frederick Buckholtz has the top 2,000-meter steeplechase time, running a 6:25.87 at the Port Jeff Steeplefest and the top 3,000-meter time, running a 8:58.14 at the Colonial Relays. The defending state Class A champs are 10-0 and can still light up the scoreboard. They notched lopsided victories over Plainview JFK, 21-9, and Port Washington, 16-6. 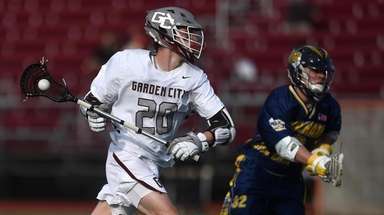 Justin Lynskey had a big week with seven goals. The Chiefs had a power surge as Darby Pandolfo homered twice in a 10-5 win over Hicksville and Francesca Cuttitta hit her first career home run in a 7-0 win over Mepham. Massapequa (7-1) remains at the top of Nassau Conference AA-I. Half Hollow Hills (8-0) has cemented itself as the favorite to win the Suffolk championship. 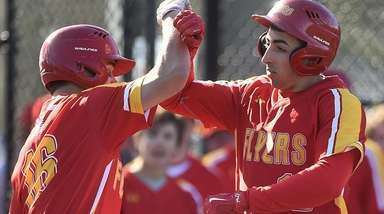 No team has come closer than 8-1, and Half Hollow Hills dealt Commack its first loss, by that score, on April 14. Aviana Goode won the long jump at the Suffolk Coaches Invitational last weekend, flying 17-73/4. Jasmin Reyes finished fourth in the 1,500 meters in 5:04.84. 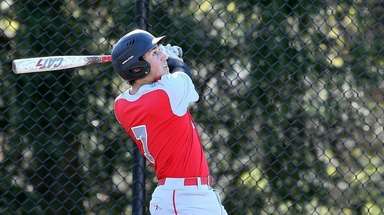 The Blue Dragons (7-0) swept Great Neck North last week as James Varela continues to swing a hot bat. They have Hewlett and Roslyn the next two series and then it goes down for real against Plainedge and South Side to close the regular season. The Mustangs (7-0) had two impressive victories last week and surged to No. 13 in the nation. Mount Sinai topped Christian Brothers Academy (Syracuse), 9-4, and Sydney Pirreca had four goals and two assists in a 13-8 win over West Babylon. The Mustangs have won 45 of their last 46 games. Joe Flynn's mammoth two-run home run sealed the Patriots' 2-1 win and a three-game sweep of Patchogue-Medford. On the cusp: Smithtown East girls golf, Great Neck South girls badminton, Middle Country girls lacrosse, Mattituck baseball, Cold Spring Harbor boys tennis.